one of the very few interesting article by Microsoft Engineers on Clinical Research Industry. Certainly interesting as it is written by none other than Les Jordan-CTO, Life Sciences Industry Unit at Microsoft . Microsoft and IBM had much longer and deepr association with Lifescience/Healthcare/Bioinformatics industry than Oracle. Interesting how weeks become months when you’re writing and updating blogs. This CTMS project certainly hasn’t gone away, but it did go on a bit of a hiatus while my “day job” intervened. Enough excuses. Mea Culpa. On to the fun! As we discussed in the previous post, the key to a clinical trials management system is thinking of it in terms of a project – after all, the people who run the clinical trial think of it in terms of a project, and it is measured in project management terms, so why not treat it that way from an architectural point of view? A second and equally important “requirement” is one that we are increasingly seeing as an industry trend: having EDC (Electronic Data Capture) functionality and CTMS (Clinical Trials Management System) functionality in the same system, or at the very least having EDC and CTMS closely integrate and interoperate. Analysis – OK, it’s SAS, but how do you get the data there? What about real-time analytics? IRB & DSMB – Outside organizations with their own management systems, like a Click Commerce Research Compliance Automation solution? What if you could have a system that gets close to doing all of that – or at least being able to manage all of it – through one interface? How much would that save in training costs, integration costs, and implementation costs? Start with Microsoft Office SharePoint Server 2007 and SQL Server 2008 as the foundation to build upon. As discussed in the last post, we’ll use Microsoft Office Project Server as a way to organize the information and provide us with a trial specific taxonomy, along with roll-up of reporting metrics. To cover the EDC aspects, we’ll utilize Microsoft Office Forms Server 2007 – which is a web facing InfoPath solution – to handle data entry and front-ending the workflow for data checks, etc. EDC forms in Forms Server can even handle digital signatures (with compliance and security being the subject of a future post) inside the InfoPath forms. This has implications for those organizations that are involved with SAFE BioPharma (worth checking out). 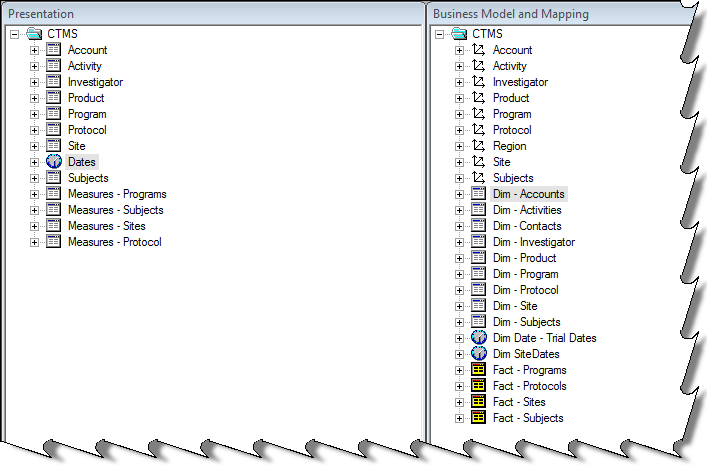 SAS – With integration with .NET, SOAP, and Web Services. Medidata – We’ve demonstrated use of their Web Services API module that utilizes CDISC. Perceptive Informatics – At the DIA annual meeting a couple years ago, we did a demonstration using DataLabs (now Perceptive) and InfoPath integration, using Web Services and about 5 lines of code! EHR/EMR Integration – While it is still on the horizon, I think it is getting closer. Check it out. I had posted last month about the Pegasystem pharmacovigilance solution. Pega Systems the industry leader in Business Process Management (BPM) software solutions, released a Pharmacovigilance case processing software. Pega has experience in clinical trial space, specifically in Clinical Trial Management. The solution is designed for rapid deployment to quickly leverage existing adverse event processing rules and requirements and can produce specialized documentation to help ensure compliance in a validated environment. I have not come across any new updates after that. But apparently Accenture has acquired Knowledge Rules, Inc., a Philadelphia-based consulting company that focuses exclusively on implementing and integrating business solutions using Pegasystems’ Business Process Management (BPM) software. Accenture has a very large Pharmacovigilance division serving several large pharmaceutical companies. It would not be very suprising if Accenture roles out the BPM software for their pharmacovigilance services. I think that is a possibility because Accenture has announced plans to use the applications for all its Fortune 500 customers. I would predict that United Health Group could be one of those customers as they are an existing customer of Pega. Laboratory Corporation of America Holdings…announced…a collaboration between Esoterix Clinical Trials Services, a division of LabCorp, and Clearstone Central Laboratories, a global central laboratory specializing in drug development and pharmaceutical services.…The collaboration provides LabCorp with access to Clearstone’s global network of labs, including China, France, Singapore and Canada, in addition to LabCorp’s existing labs in the United States and Belgium. The companies will collaborate on providing standardized central laboratory testing for clinical trials to their respective clients. The transaction also provides LabCorp access to Clearstone’s clinical trials management system APOLLO CLPM clinical trials management software, enhancing the ability of clients to conveniently send, receive and manage data. The multinational pharma companies are planning to approach the health ministry with a proposal calling for the utilisation of the 1.7 lakh post offices across the country to distribute over the counter drugs. The move if implemented would increase the reach of OTC drugs by 20%. The plan initially submiited 2 years ago requires the approval of and coordination between department of pharma under the ministry of chemicals and fertiliser, department of post under ministry of communications and the health ministry. The Indian over-the-counter (OTC) medicines market, the 11th largest globally, is pegged at $1.9 billion. It is the second fastest growing market globally with a growth rate of around 9% per annum. Would you support this, even in US where people are more educated and FD keeps a watch on drug advertisement , people are often misguided. India is yet to come up with a strong and comprehensive adverse drug event reporting infrastructre.